Looking for something to do or just get out of town? Then bring the kids, dogs & mother in-law to the Tannery Market. Enjoy a Slowtown coffee, a glass of selected wine or an ice cold beer and something delicious to eat from one of the many local delicacies. Need to get out of the house earlier? We've got you covered. 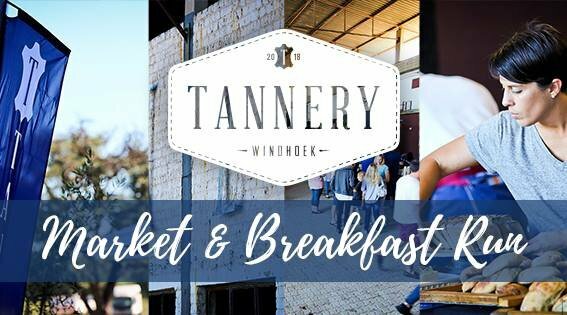 Join the Tannery breakfast run & walk at 8h00. REGISTRATION for the Breakfast Run is N$20 + a FREE coffee for finishers. Entrance to the market is FREE. Contact us if you are interested in joining our market family market@tannery.com.na.